The focus of this survey is on spatio-temporal data mining and database retrieval for visual traffic surveillance systems. In many traffic surveillance applications, such as incident detection, abnormal events detection, vehicle speed estimation, and traffic volume estimation, the data used for reasoning is really in the form of spatio-temporal data (e.g. vehicle trajectories). How to effectively analyze these spatio-temporal data to automatically find its inherent characteristics for different visual traffic surveillance applications has been of great interest. Examples of spatio-temporal patterns extracted from traffic surveillance videos include, but are not limited to, sudden stops, harsh turns, speeding, and collisions. To meet the different needs of various traffic surveillance applications, several application- or event- specific models have been proposed in the literature. This paper provides a survey of different models and data mining algorithms to cover state of the art in spatio-temporal modelling, spatio-temporal data mining, and spatio-temporal retrieval for traffic surveillance video databases. In addition, the database model issues and challenges for traffic surveillance videos are also discussed in this survey. In recent years, the increase of traffic volume has become a significant problem. Consequently, road transportation systems have been subject to considerable increase in congestion and accidents. These include both congestion-related accidents and accident-caused congestions. In Europe accidents cost about 45 billion euros per year, with 45,000 victims annually (Foresti, Micheloni, & Snidaro, 2003). In the United States, in one year alone, in one year alone, motor vehicle crashes cost a total of $100 billion in medical care, rehabilitation, and lost wages (http://www.cnn.com/2010/HEALTH/08/25/motor.vehicle.accident.costs/index.html). On average, each driver in the United States ponies up about $500 a year toward the total costs, according to a recent study by the Centers for Disease Control and Prevention. Early solutions to reducing both traffic accidents and congestion such as adding more lanes are becoming less feasible and the least favorable. Instead of increasing the capacity of existing infrastructure, contemporary solutions of Intelligent Transportation Systems (ITS) try to use roads more efficiently. 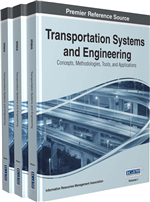 In recent years, Intelligent Transportation Systems (ITS), which integrate advances in telecommunications, surveillance systems, information systems, automation, and electronics to enhance the efficiency of existing road networks, have been identified as the new paradigm to address the growing mobility problems, and to alleviate congestion and augment the quality of vehicular flow. The demand for better traffic information and thus an increasing reliance on traffic surveillance has resulted in a need for better vehicle detection and traffic analysis tools. The basic components of an intelligent traffic surveillance system include the data acquisition, pre-processing, and interpretation of the traffic conditions (Foresti, et al., 2003). Although loop detectors are the most widely used sensors, they present significant errors in their measurements and incur high costs of installation and maintenance. There are several other sensors using different technologies also being widely adopted, including magnetometer technology, infrared technology, acoustic detection technology, ultrasonic detection technology, CCD (Charged Coupled Devices) camera, Doppler radar technology, etc. as cited in (Weill, Worton, & Garcia-Ortiz, 1998). To evaluate the quality of surveillance data provided by different sensors, Ozbay and Kachroo (1999) listed four important factors which are reliability, performance under different environmental conditions, data accuracy, and real-time performance. Reliability of a sensor is measured by the frequency of malfunctions or breakdowns. Unreliable sensors could cause high costs in fixation and replacement. Performance under different environmental conditions is another important factor. According to the study presented in (Weill, et al., 1998), inductive loop and magnetometer do not perform well under snow conditions. Infrared sensors do not work well under rain or snow conditions. The performance of CCD cameras is less satisfactory under bad weather conditions (e.g. rain, snow, and fog). It is important to make sure that the selected sensor will perform well under the specific environment conditions of the area where it will be deployed. Data accuracy largely depends on the installation and calibration of the sensor (Weill, et al., 1998). Real-time performance is essential in timely information collecting, analysis, and decision making. High-speed communication technologies can only ensure the timely transmission of available data (e.g. raw data and known knowledge), but cannot help to speed up the process of analyzing and interpreting the data and generating useful insights of traffic conditions. As on-line applications have become a trend and a focus, it is very important that the associated analysis tools for traffic sensors have real-time performance.